Jeju is an island of natural wonders and has a subtropical climate with four distinct seasons with small differences in the annual and daily temperatures. 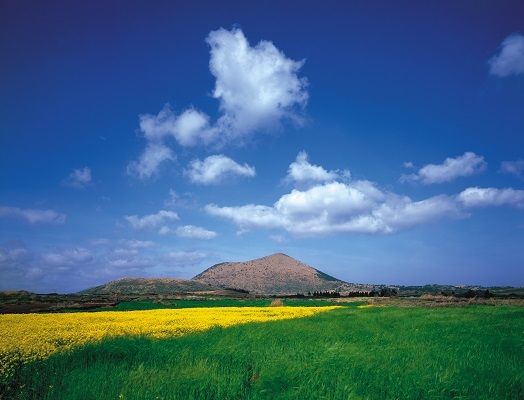 Jeju Island is an extinct volcano with its peak projected towards sky at the center, surrounded by a gentle shore region showing a very unique geographical condition. These volcanic island and lava tube cave were Selected as the New 7 Wonders of Nature on Nov. 11, 2011 and certified by UNESCO World Natural Heritage Sites for their natural beauty and geographical value in June 2007. Jeju Island is not only the most prestigious destination spot, but it has been the venue for several political joint summit talks and other major international meetings. Jeju was designated as one of the safest cities in the world by WHO (World Health Organization) in 2012, 2007. With so much to offer, Jeju Island gives a warm welcome to all RE 2019 participants. Jeju Haenyeo (Woman Diver in Jeju): Haenyeo (also spelled haenyo) (Hangul: 해녀; lit. sea women) are female divers in the Korean province of Jeju. Known for their independent spirit, iron will and determination, the haenyeo are representative of the semi-matriarchal family structure of Jeju. Hallasan Mountain: Hallasan is a shield volcano on Jeju Island of South Korea. It is the highest mountain in South Korea. The area around the mountain is a designated national park, the Hallasan National Park (Hallasan Gungnip Gongwon/한라산국립공원/漢拏山國立公園). Hallasan is commonly considered to be one of the three main mountains of South Korea, along with Jirisan and Seoraksan. 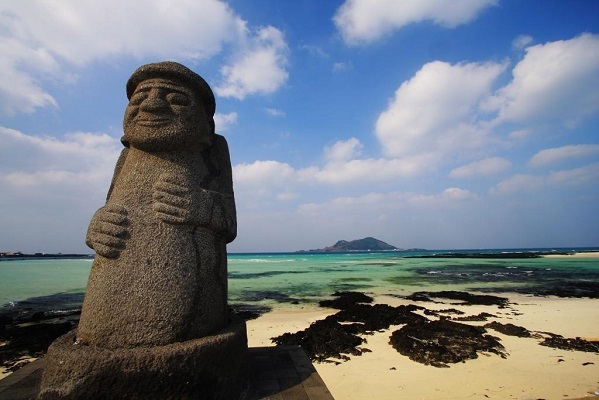 Dol-Haru-Bang (Stone Grandfather): Dol hareubangs, also called tol harubangs, hareubangs, or harubangs, are large rock statues found on Jeju Island off the southern tip of South Korea. They are considered to be gods offering both protection and fertility and were placed outside of gates for protection against demons travelling between realities. For tourist information on Korea, check the webpage of Korea Tourism - Visit Korea. For tourist information specifically on Jeju Island, check the webpages of Jeju Tourism Office - Visit Jeju, Jeju Tourism Organization and Jeju Tourism Association.